To maximise profitability of asset financing activities via growth and maintenance of market share with effective control over operating expenses. Ensure that VAF business is developed on a profitable basis with the view of providing competitive and comprehensive packages which will enable the bank to increase it’s market share in asset financing to the personal, business and corporate sectors within the framework of the bank’s strategic objectives. Set short, medium and long term targets for VAF and monitor the results continuously to ensure that targets are met in relation to overall business objectives. Establish, co-ordinate and monitor, in conjunction with other bank lending units, the marketing/sales strategies in the marketplace. Review VAF related charges periodically to ensure that products and services are profitable yet competitive. Draw up, implement and manage VAF’s new business, product and service plans, business plans and budgets. Exploit VAF’s and the other units’ customer base as well as non-bank customer potential. Analyse and stay abreast of industry and regulatory developments and competitor activity and communicate information to VAF team. Develop and maintain meaningful relationships with Dealer /Supplier network, major customers and industry bodies and associations countrywide through personal contact. Develop meaningful relationships with VAF SBSA specialised support areas and with key internal support areas. 5 years or more in a middle management position. Adequate exposure in Asset based finance. Above average understanding of the Asset Finance industry and its economic drivers. Good asset based product understanding. We are Botswana number 1 job listing website. 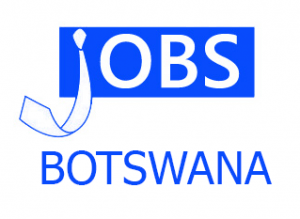 © 2019 Jobs Botswana. Designed with for the Batswana People.